Looser top - great for diabetics! Please specify size and color when you place your order. If you have poor circulation, diabetes or just cold feet then these are the sock for you. Specifically designed to keep your feet warm without tight compression on your feet or legs these socks will help make you more comfortable. Soft, warm and unisex to help ease your cold and aching feet. 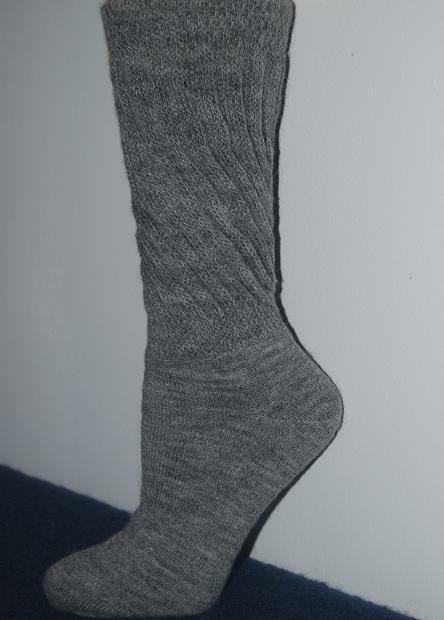 Mid calf in length and machine washable for easy care.